Observation notes: Attracted to MV lamp set up next to farm pond and adjacent oak-dominated, mixed woodland. Slightly humid, winds under 5 mph, temperature approx. 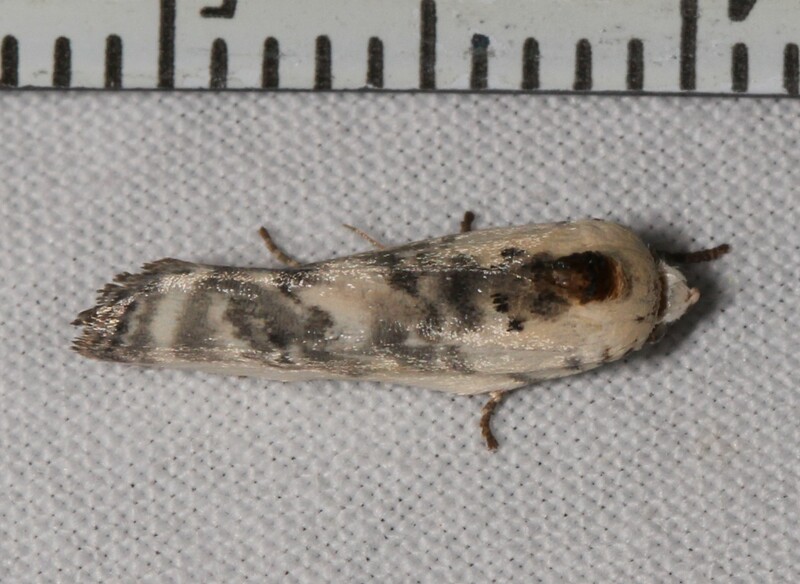 70 F. Body length (head to wing apices) of 12 mm.